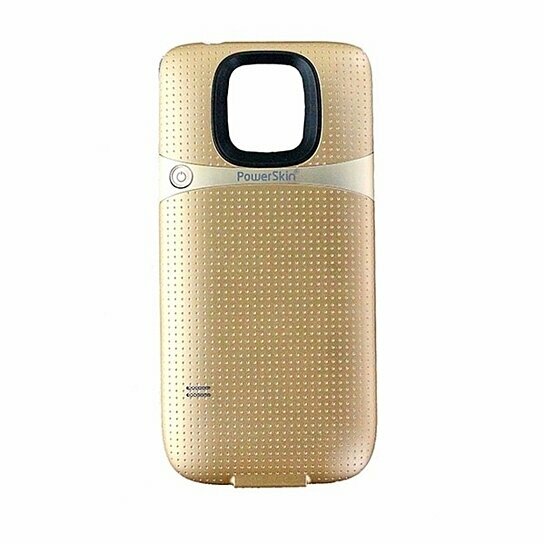 Powerskin products Spare Series 2,200 mAh Battery Case made only for the Samsung Galaxy S5. Dull Gold finish. Lithium Polymer Battery. 1.2A Output. Micro-USB 3.0 Cable included.